Dubai is one of the seven Emirates which caters jobs and living for people from different part of the world, the most commendable attraction being the tax free working conditions and high salary which in return will allow you to save your income. More over Dubai is a wonderful place where you will find world class facilities and entertainments. The salary for nurses in the UAE is between AED. 3,500 and AED. 16,000, with the average salary of AED. 8,500. The pay scale depend on field of experience,post given, and the nature of the nursing jobs. The average pay for a staff nurse is AED. 86,577 per year, or AED. 7,215 per month. Most of the nurses will get promoted after 20 years in this field. The most paid areas are pediatrics, operating room , and emergency room. In Dubai, nurses work for an average of 40- 48 hours a week. Though it is long hours, the working conditions are better compared to other Asian countries. 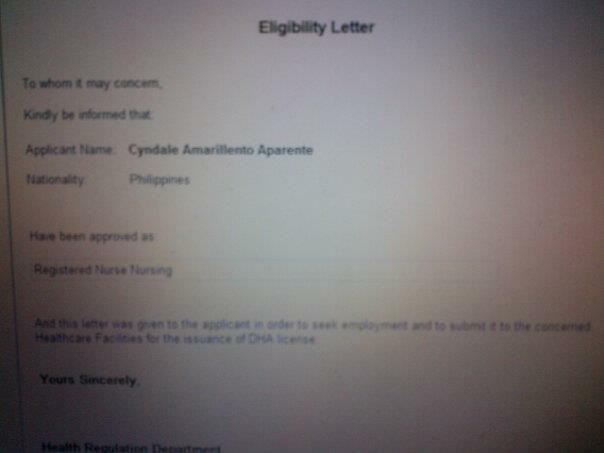 If you want to work in Dubai as Registered Nurse you need to get a Licence. DHA ( Dubai Health Authority) is the authorized body to issue the licence. To get this Licence you should go through a set of procedure. Let us examine them in breif. If you are Post Basic B.Sc Nursing candidate from India, then you should also upload the following documents along with the above said. From the site, select the Health Regulation Service menu where you will find the the option “New Professional License.” This will pop up as a separate window which will walk you through your application, each step requires documents to be uploaded as clearly instructed. Name all documents instead of numbering. Remember to update each page as you move on, unsaved documents cannot be retrieved when you log on for the next time. Once you finish up dating the documents, it will prompt you to a menu where you need to provide details of payment. Here you have to do your initial payment of AED 210/- through a credit card ( Local credit card ). I have added a screen shot here for you. DHA will verify the documents submitted for its truthfulness. It may take few days to 6 weeks to get a feed back from DHA officials. If not follow it up by sending an email to Regulation@dha.gov.ae. After Initial verification DHA staff will intimate you about the corrections to be done, like uploading missing document or uploading additional documents etc. You can correct the mistakes you have done and submit it again for approval. The payment for primary source verification is AED 700/- . If you wish to postpone your payment, you can do so , but at most 3 months only . If everything goes fine, you will get an eligibility number to sit for the exam. Go to link to schedule your exam, here you need to provide your Eligibility Number. Fee to schedule the exam is 170 USD, can be paid through an international credit card. Exam is computer based and it is a multiple choice assessment. You have 2 hours to answer 70 questions. You will get the result in two days through mail. If you pass the exam, you will receive an eligibility letter which you can attach to your CV while you apply for a job in Dubai. The letter is valid for only a year ( 1 year). Once you have a sponsor/employer, they will do the remaining formalities. You can find the updates in your Sheryan ( DHA Account). This is the end of the process and now you can search for a job in your dream place. It is advised that you send your latest bio-data to as many hospitals as possible . Also try your luck by walking in interview at hospitals, if you happen to be already in Dubai. If you have friends and relatives in Dubai, it would be a good idea get help from them for looking for jobs.